Wish you a very special Thanksgiving Day for all for referring us and encouraging this project every moment. Touch Screen is cool but when users press touch screen it certainly miss feelings a solid button. Chris Harrison and Prof. Scott Hudson at Carnegie Mellon have developed a simple technology that turns touch screen buttons into physical buttons by using pneumatics. The technology consists of a flexible surface area with a hard backing that acts as a mask for the button shapes. An air chamber behind the backing can be pressurized or depressurized using pneumatic technology, in this case fan-based pumps. When positive pressure is applied, the buttons pop out. When the pressure is neutral, the screen is flat. When negative pressure is applied, the buttons pop inwards. Such ergonomic touch screen technology may change the way restaurant apps would work. A Public domain license so that we can distribute DB unconditionally with software. Following matix shows a comparison among different DB engines. We have eventually selected Apache Derby because it fulfills most of the features. In addition it can be embedded as well as its license is more flexible than MySQL. Cash drawer is a vital part but not all in a Restaurant. Whole process goes much beyond this and the success of your business depends on how effectively you manages everything related to your restaurant. Here, time is money for you and a good restaurant point of sale software is probably your best bet to help performing everything perfectly. A restaurant manager POS or a bar POS system is essentially is a collection of devices that perform in an orchestrated way when your business runs in full swing. So naturally, such a robustness to run a system can only be expected from an experienced vendor selling restaurant point of sale software. The vendor must always ensure that the restaurant point of sale software should take care of everything from menu arrangement to staff performance in your restaurant. Besides providing adequate options to manage your restaurant’s cuisines, the restaurant manager pos system should help you to allocate and distribute your resources effectively as well. The centralized system should take and process data from every terminal in your restaurant. Also, besides managing the restaurant cash register, a good restaurant manager pos or bar pos system has flexible options to cater to your customers’ preferences in terms of table allocation, menu or payment. A good restaurant point of sale software gives you flexible options to change or edit orders, menus, payment options etc. whenever you want to. In addition, the interface of the restaurant manager pos system is arranged in such a way that you could do all frequent tasks with the minimum key pressing or mouse clicking. The restaurant point of sale software can also help you with elaborate reporting for almost all activities performed through it. It can help you to get detailed information per order, per server, or menu-wise, ranging from daily to monthly and many more. Finally, a restaurant point of sale software is far more secured than a normal restaurant cash register. In good restaurant manager pos or bar pos system, you can set hierarchical access-rights for your managers, servers, bartenders, and above all for you as the owner. This will ensure that critical information related to revenue, wages etc. are not compromised at any level. In addition, almost all good restaurant point of sale software systems give adequate option to backup your data on online location on a periodical basis so that you are always free from system-crash or other similar issues. Is Freeware enough? Why disclosure of Source code is so important? Software developer and Blogger Marco Milani wrote a nice article about pitfalls of "Freeware". Software like Firebird, Firefox, Thunderbird, Freemind, Joomla, WordPress, Debian, Lingoes can be great but "All that glitters isn't gold"! Some threats may break the dream of completely free software. First of all a software that is free today can not be free forever! A recent example comes from PostBox, a new e-mail client based on thunderbird (wrote by the former thunderbird's developers) originally claimed as "a free e-mail client" and switched to commercial in September once the first stable release appeared and after a lot of users tested the beta versions. In this case the testing of the user was free not the product! Free mean "at your own risk"
If you pay nothing to get a things you also get no warranties about that things and no support in case of problems. If company stops giving away free you may have already been using it and you may realize FREE CHEESE IN MOUSE TRAP! Even open-source projects can die because of lack of development, but in case of crucial business involved the last chance is to directly support the development. Secondly when you have source code instead of waiting for next release you can customize it from the first day. Internet Explorer is one of the worst example of such Close source free product. Since release of IE 6.0 there were too many known bugs and and users who has been accustomed with IE had to live with that. Then next version of product had different problems. IE had even many critical bugs that took time to get fixed. If source code were in users' end they could fix it themselves. The way-out plan is mandatory if the free product or service is part of the core business. It would be unacceptable to build an important business over a weak solution or a solution with an uncertain future! You can only do that if you have source code in hand! This means that in general is a bad choice to use free-closed-source software in core businesses. As I searched in Google I found that Retail point of sale systems have their roots in an 1870s Dayton, OH saloon. Deeming himself a "Dealer in Pure Whiskies, Fine Wines, and Cigars," owner/operator James Ritty had a successful business. But, like most business owners, he faced a growing issue of dishonest employees who frequently pocketed money from the customers instead of depositing it. While on a steamboat trip to Europe, Ritty was intrigued by a mechanical device on the ship's propeller that tracked of the number of revolutions for maintenance purposes. Upon his return to Dayton, Ritty and his brother John began working to duplicate this idea to record cash transactions at the saloon with a mechanical device. In 1879, the Ritty brothers patented their invention as "Ritty's Incorruptible Cashier,"
or, as we know it today, the cash register. The Ritty brothers opened a small factory in Dayton to manufacture their cash registers. Several years later, Cincinnati businessman Jacob H. Eckert bought the business from the Rittys and formed the National Manufacturing Company in 1881. He later sold it to John H. Patterson who continued making improvements to the cash register, including adding rolls of paper used to record each day's transactions. In course of time, even though Cash register and POS has been serving same purpose, it has been evolved from Giant wheels and machines to the latest touch screen application. The National Restaurant Association estimates(1) that internal employee theft is responsible for 75% of inventory shortages-about four percent of total restaurant sales. Three quarters of employees steal from the workplace at least once-and half steal repeatedly. Why? Because no one catches them! Have Food & Beverage Costs suddenly gone up? 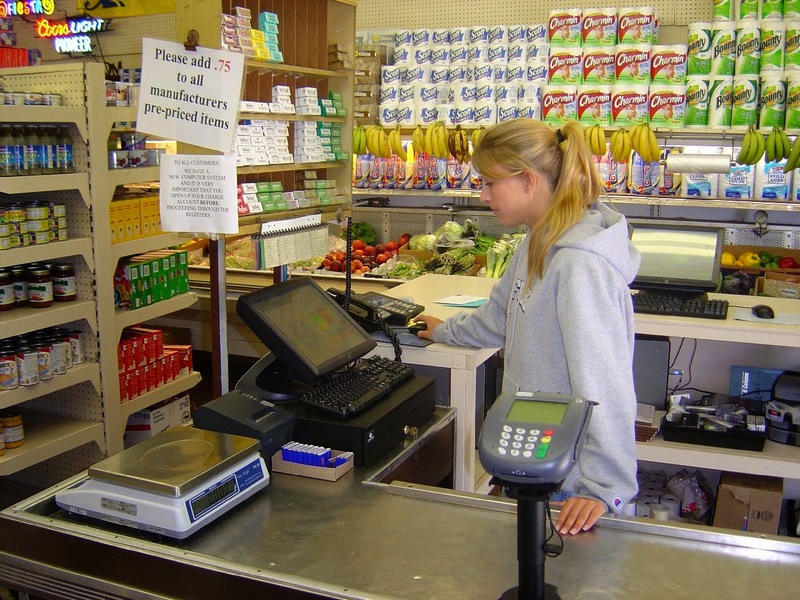 Is the cash register over or under on a regular basis? Do employee tips add up? Many food servers offers extra food or intentionally Void foods to get more Tips. Tracking Void orders are one simple way to catch such stealing. Often there are courtesy drinks allocated for guests but food servers steal them and invite own friends to enjoy that. Customers or employees may notice things restaurant owner can't. A thorough investigation often reveal regular stealing in restaurants. Maybe it's a lifestyle that seems well beyond their means. Maybe they are just too eager to work the shifts that no one else wants to take. Whatever it is, restaurant owner should trust his instincts. View more documents from floreantpos.